Ben came to 12th Street in March of 2013. As Associate Pastor, he invests in adult education, missions, and various operations of the church. He trusted Christ on Good Friday in 1984 and dedicated his life to vocational ministry in High School. He and his Aggie wife, Dr. Judith, married in 2004 and make it their goal to always act like newlyweds...it can get a little embarrassing sometimes. 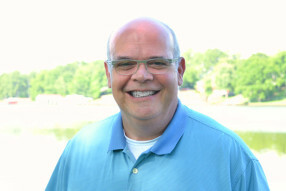 He holds a Bachelors of Business Administration in Finance from the University of Georgia, a Master of Arts in Christian Education from Dallas Theological Seminary and a Doctorate of Educational Ministry in Leadership & Relational Counseling from Southwestern Baptist Theological Seminary. Ben and Judith are passionate about leading others to know love, grow love, and show love in all areas of life. Ben is the resident gear-head, so you never know what you might see him driving or riding, but you can be sure to find him at Sanford Stadium in Athens, GA as often as he can to watch the Dawgs. Ronnie’s first introduction to the Music Ministry of 12th Street was when he was asked to play trumpet in an orchestra for a musical the Choir was performing. A few years later his family joined 12th Street, where he served as Music Assistant and was asked several times to be the interim Minister of Music. But then in December of 1997 Ronnie was called as the full-time Minister of Music at 12th Street. He has a Bachelor of Arts and a Master of Arts in Music Education from the University of Alabama. He enjoys playing and writing music, working with computers, and watching college football. But mostly he and his wife, Janice, enjoy spending time with their family and friends... especially the grandchildren. Charles came to 12th Street in January, 2013. He received his Bachelor of Business Administration degree from the University of Mary-Hardin Baylor and his Master of Arts in Religious Education from Southwestern Baptist Theological Seminary. Charles has served in churches in Alabama and Texas. Charles and his wife, Kerri, are the parents of four beautiful daughters: Lauren, Rebekah, Caroline, and Emma. 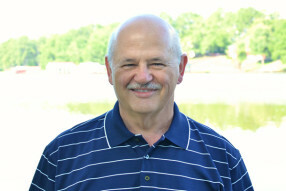 Randy joined the team as the Hopkins Mission Campus Pastor in January 2013. Randy and his wife, Cheryl, live in the Williams community near Jacksonville, Alabama. They have two daughters, Nikki and Kari. He also works in the Special Education department at Weaver High School and also coaches volleyball there. 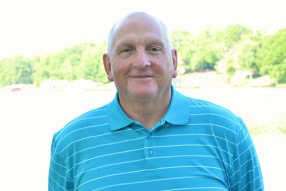 Randy has been in the ministry for over 40 years as a Youth Minister, Associate Pastor and Pastor of various churches in Calhoun and Etowah County. Nate came to 12th Street in June 2012 as the Minister to Children and Young Families. He and his wife, Tabitha, were both raised in the Kansas City, KS Metro Area. After being a Children's Pastor in Charlotte, NC God called Nate and Tabitha to 12th Street. 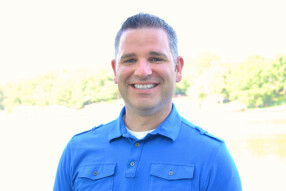 He holds a Bachelor of Science in Church Ministries with an emphasis in Children's Ministry from Southwest Baptist University. When Nate is not hanging out with kids you can find him smoking something fantastic on his grill. Though Nate was raised in the midwest his parents are from Alabama and raised him to be an Alabama fan. Therefore coming to Bama was, sort of, a homecoming, especially on Saturdays in the fall. 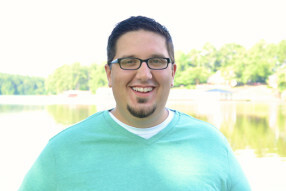 Craig came to 12th Street in February 2008 as the Pastor. Craig attended 12th Street with his family when he was a boy and credits his biblical foundation to the teachers and leaders of 12th Street. After Pastoring in near by Decatur, AL for 16 years the Lord called him and his family back to Gadsden. 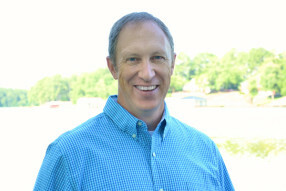 Craig has holds a Bachelor of Arts in History/Religion from Samford University, a Masters in Divinity from Southwestern Baptist Theological Seminary and Doctor of Ministry in Evangelism & Church Growth from The Southern Baptist Theological Seminary. He loves to cook and is always trying new recipes that he tests out on his wife, Tammy, and daughter, Jordan, which they always "love".